Dennis Seidenberg certainly doesn't mind taking his best shot, but putting his body in front of them is definitely his forte. Dealt to the Boston Bruins from the Florida Panthers on Trade Deadline Day (March 3, 2010), Seidenberg, the NHL leader in blocked shots, joins his fifth big-league club since breaking into the league in 2002-03. Selected in the sixth round, 172nd overall by the Philadelphia Flyers in the 2001 NHL Entry Draft, Seidenberg spent three years with Adler Mannheim of the Deutsche Eishockey Liga (DEL) in his native Germany, before he signed with the Eastern Conference club in 2002. Seidenberg spent the next two campaigns between the NHL and the American Hockey League (AHL), suiting up with the Philadelphia Phantoms. He played the entire 2004–05 season with the Phantoms during the lockout, winning the 2005 Calder Cup. In both seasons after the lockout, Seidenberg, who took part in the 2003 NHL YoungStars Game, was involved in a midseason trade. On January 20, 2006, he was sent to the Phoenix Coyotes for Petr Nedv?d; the following year, the Coyotes dealt him to the Carolina Hurricanes on January 8 in exchange for centreman Kevyn Adams. 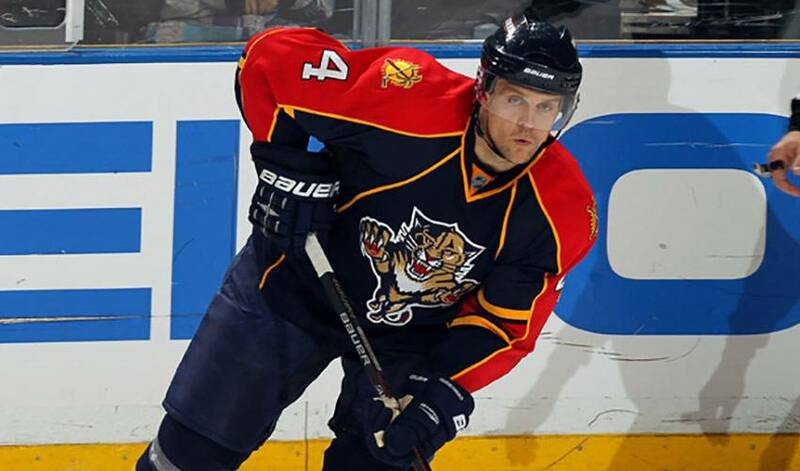 On September 14, 2009, Seidenberg signed a one-year, $2.25 million contract with the Florida Panthers. Now, the native of Villingen-Schwenningen, the largest city of the Schwarzwald-Baar district located in the south of Baden-Württemberg, will suit up for his first Original Six team. Seidenberg's main focus will be in keeping the opposition at bay, a role he has proven to be quite effective at. Included in that group is fellow blueliner and team captain Zdeno Chara, a player Seidenberg is looking forward to skating alongside. The same can also be said of Seidenberg, who will now share the same uniform as countryman Marco Sturm. Just don't expect the 210-pound Seidenberg to alter his steady, defence-first style now that he's in Beantown. Seidenberg, who was a nationally-ranked tennis player in his youth, knows it will take a collective effort to get the Bruins into the playoffs, a challenge he's looking forward to. It's a chance that Seidenberg is grateful to have.